Lake Area United Way receives support of their local insurance agency in furthering their mission of providing vital services for the community. Gutierrez Family Agency is raising funds to assist the organization with their mission of generating, convening and coordinating resources to deliver large-scale, measurable and sustainable impact across our communities. They need funds to accomplish their goals of transforming the lives of many in our community. 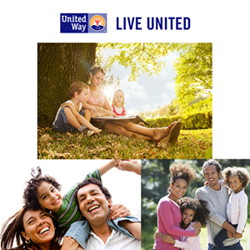 Faced with many problems in the local community – homelessness, poverty, hunger – Griffith, Indiana-based United Way is receiving support from the community through the efforts of Gutierrez Family Agency. The Agency is spearheading a fundraising campaign to support the organization mission of generating, convening and coordinating resources to deliver large-scale, measurable and sustainable impact across our Communities. More information on the campaign can be found at http://gutierrezagency.com/Helping-Our-Local-Families-Live-Their-Best-Life_28_community_cause. “As an agency, we have made a promise to positively impact our local community. Supporting Lake Area United Way for as part of our Community Cause campaign is a part of that promise, and we look forward to working closely with the organization,” said Jorge Gutierrez, principal of Gutierrez Family Agency. Lake Area United Way has been working in the local community since 1969. Since then, they have been uniting diverse partners to bring together companies and organizations to build a stronger community for everyone. “They need funds to accomplish their goals of transforming the lives of many in our community,” agreed Gutierrez. With their agency in Munster, Gutierrez Family Agency is employing its social media channels and email in the campaign, and dedicating a full page of their monthly magazine to the cause. The electronic version of Our Hometown magazine can be viewed here: http://gutierrezagency.com/Our-Hometown-Magazine_41. In addition to promoting the campaign to gather donations, the agency will also contribute $10 to the cause for each person recommended to them for an insurance quote – no purchase necessary. Operating as Agents of Change in the community, Gutierrez Family Agency will continue to support worthy causes, and announces that any members of the community can request to be considered for future campaigns through this link: http://gutierrezagency.com/Add-Community-Cause_48. Entries are diligently submitted for review, and the elected stories are properly contacted by a representative of the agency’s Community Program. More information regarding past and current campaigns supported by the agency can be found at http://gutierrezagency.com/community-cause. A full service insurance firm serving the families of southeast Chicago from offices in Munster, IN, Gutierrez Family Agency has one simple mission: to provide the finest insurance and financial products in the industry, while delivering consistently superior service. Jorge Gutierrez and his dedicated team of caring professionals focus on helping clients to protect the things that are most important to them (their families, homes, cars and more) and in developing strategies to fulfill long-term financial goals. An expert at Gutierrez Family Agency may be reached by calling 219-225-0300.